A poisoned bolt has struck down the Princess Anita on the day of her wedding to Prince Arutha of Krondor. To save his beloved, Arutha sets out in search of the mytics herb called Silverthorn that only grows in the dark and forbidding land of the Spellweavers. Accompanied by a mercenary, a minstrel, and a clever young thief, he wil confront an ancient evil and do battle with the dark powers that threaten the enchanted realm of Midkemia. Raymond E. Feist is the international bestselling author or co-author of twenty one novels, including Magician, Silverthorn, A Darkness at Sethanon, Faerie Tale, The Kings Buccaneer, Talon of the Silver Hawk, and King of Foxes. 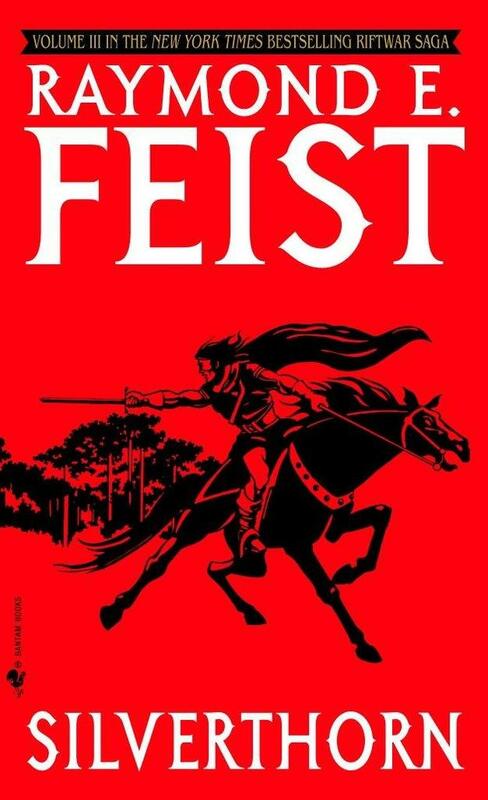 Feist is a graduate of the University of California, San Diego, and resides in Southern California with his family. He travels, collects wine, and lives and dies with the San Diego Chargers.